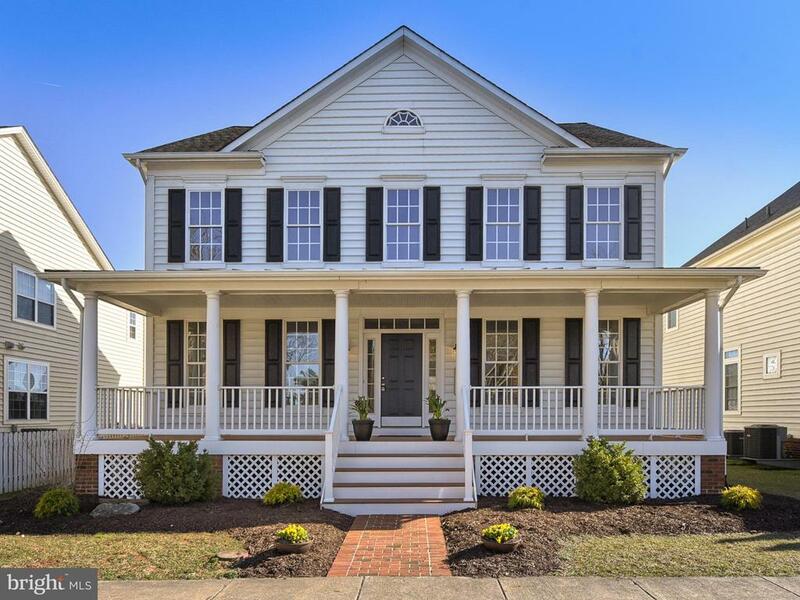 Less than 15 minutes north east of downtown Frederick you’ll find the Communities of Walkersville and Woodsboro. Although they are close to route 15 for easy commuting and not far from all the shopping you’ll ever need, their small hometown qualities make them seem miles away! 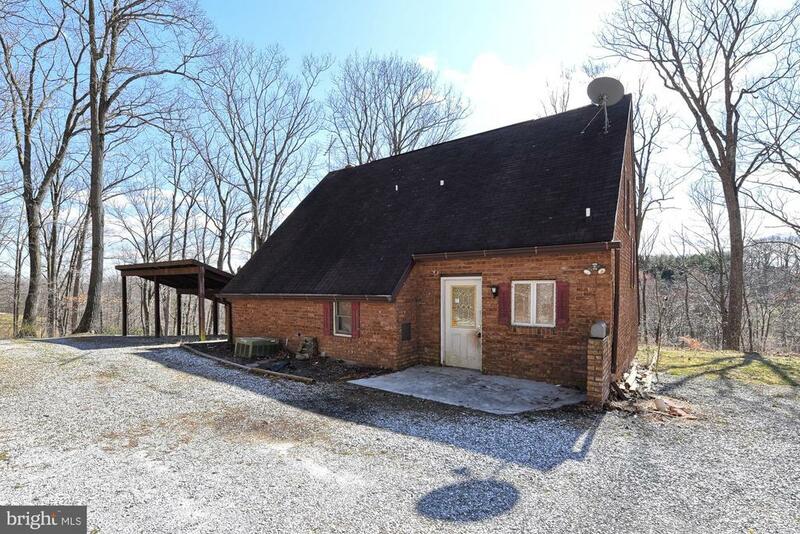 As you travel up route 194 north and cross the Monocacy River you’re sure to be impressed by the outstanding views! These communities sit in the Glade Valley surrounded by rolling hills, vast farm lands and mountain vistas. Walkersville is first on your stop. Established in 1892 it has a current population of nearly 5600. On any given Friday night in the fall you’ll find the bleachers full at Walkersville High School as the crowds come out to cheer on Lions football. Homecoming is a big deal in this town, the main streets shut down as children of all ages march in the parade. With floats and bands and of course the homecoming court, it’s reminiscent of a Rockwell painting! Five beautiful community parks offer lots of leisure activities. Fountain Rock Park (operated by Frederick County Parks) has fishing, nature camps and six historic kilns overlooking a water filled quarry. Walkersville Town Park, Creamery Park and Trout Park offer play grounds, picnic areas, tennis and ball fields. Heritage Farm Park is the home to the Glade Valley Athletic Association which offers a vast variety of sports for children of ages. Heritage is also home to a 9 whole golf course, Frisbee golf a composting facility and a local Farmers market starting in June each year! Now head north another 5 minutes and you’re in Woodsboro established in 1786. Smaller than Walkersville it has a population of about 1200. Like its neighbor this picturesque town rings true of Americana. Visit Woodsboro Town Park on a Saturday afternoon and you’ll see families enjoying, soccer, baseball, picnics, fishing, tennis, and in the winter ice skating and sledding! Both communities offer an array of housing choices. From historic downtown homes to contemporary mansions and everything in between, these modern small towns have something for everyone! There are condominiums, town homes, detached homes, farms and even assisted living and retirement communities! However, the majority of housing is single family dwellings. Crum Road Bridge was listed on the National Register of Historic Places in 1978. The Woodsboro and Frederick Turnpike Company Tollhouse was listed in 1979 and Harris Farm in 1994. Walkersville is located at 39°29′5″N 77°20′56″W (39.484846, -77.348943). According to the United States Census Bureau, the town has a total area of 4.36 square miles (11.29 km2), of which, 4.35 square miles (11.27 km2) is land and 0.01 square miles (0.03 km2) is water. The median income for a household in the town was $65,581, and the median income for a family was $69,476. Males had a median income of $47,309 versus $31,817 for females. The per capita income for the town was $24,103. About 2.1% of families and 2.4% of the population were below the poverty line, including 2.3% of those under age 18 and 4.0% of those age 65 or over. As of the census of 2010, there were 5,800 people, 2,094 households, and 1,583 families residing in the town. The population density was 1,333.3 inhabitants per square mile (514.8/km2). There were 2,206 housing units at an average density of 507.1 per square mile (195.8/km2). The racial makeup of the town was 88.0% White, 5.2% African American, 0.3% Native American, 2.4% Asian, 1.5% from other races, and 2.6% from two or more races. Hispanic or Latino of any race were 4.1% of the population. There were 2,094 households of which 40.1% had children under the age of 18 living with them, 61.4% were married couples living together, 10.6% had a female householder with no husband present, 3.6% had a male householder with no wife present, and 24.4% were non-families. 21.5% of all households were made up of individuals and 11.2% had someone living alone who was 65 years of age or older. The average household size was 2.71 and the average family size was 3.16. The median age in the town was 40.6 years. 26.1% of residents were under the age of 18; 6.9% were between the ages of 18 and 24; 24% were from 25 to 44; 29.9% were from 45 to 64; and 13.3% were 65 years of age or older. The gender makeup of the town was 47.6% male and 52.4% female. There are four schools in the town of Walkersville: Glade Elementary, Walkersville Elementary, Walkersville Middle, and Walkersville High. The mascot of Glade Elementary is the Jaguar. The mascot of the other schools is the Walkersville Lion and the rival school are the Middletown Knights. There is also an Adult Education center on W. Frederick St., across from the middle school. Some activities in Walkersville are participating in the Glade Valley Athletic Association (GVAA) where kids 5-18 can participate in baseball, softball, soccer, basketball, football, lacrosse, wrestling, poms and cheerleading. There are also active Boy Scout and Girl Scout troops. 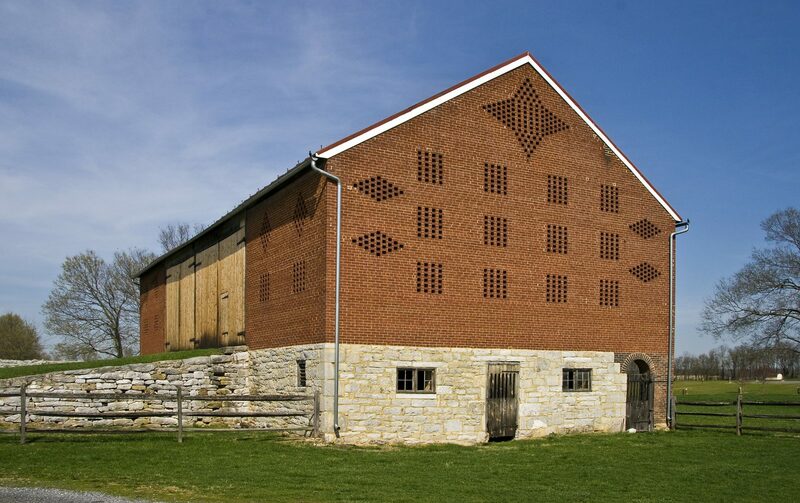 There are four parks within the local area of Walkersville: Walkersville Community Park, Heritage Farm Park, Creamery Park, and Gilmore C. Trout Memorial Park. Baseball fields, playground equipment and covered pavilion are found at the Creamery Park. Walkersville has a fire hall, where various activities are held, including cookouts, auctions, and the annual Volunteer Fire Company Carnival which occurs over the week of July 4. Town meetings are held at the Town Hall on the second and fourth Wednesdays of each month. The town also includes a variety of shops, including Safeway, Sheetz, Olde Towne Jewelers, and various others. Fast food establishments include McDonald’s and Pizza Hut. The Walkersville Southern Railroad offers regularly scheduled scenic train rides from the month of May through October. The train was part of the Pennsylvania Railroad that was built in 1872. Walkersville is served by TransIt, the Frederick County bus system. In May 2008, Walkersville commissioners passed Resolution 2008-4 becoming the second town in Maryland to adopt English as the town’s official language. Woodsboro is a town in Frederick County, Maryland, United States that was granted to Joseph Wood in 1693. The population was 1,141 at the 2010 census. The town was named after Joseph Wood. The LeGore Bridge was listed on the National Register of Historic Places in 1978 and Woods Mill Farm was listed in 2007. The Woodsboro Savings Bank, and several buildings associated with the three limestone quarries near the town are among the structures which have been considered for historic preservation. Unlike most cities, the executive officer of Woodsboro, Maryland is called a burgess. The current executive officer of Woodsboro is Burgess Gary Smith. Donald Trimmer, the previous burgess, stepped down in May 2009 after 16 years of serving in that post. The first Burgess of Woodsboro was Dr. George F. Smith. Woodsboro is located at 39°32′4″N 77°18′52″W (39.534400, -77.314329). According to the United States Census Bureau, the town has a total area of 0.71 square miles (1.84 km2), all of it land.